When traveling to Europe, American's get excited about the fact that the public transportation system is so much easier to use. Here are some tips on riding Europe's rails and trains. If you plan more than a couple long train journeys, consider buying a rail pass, this will save you time and money. Buying a consecutive day pass allows unlimited travel within a time frame. Flexipasses allow a certain number of travel days within a longer time period. The Eurail pass is good in 17 countries and allows you to travel unlimitedly. Not all trains require reservations and with a rail pass, you can hop on whenever you like. When buying point-to-point tickets, reservations cost extra. Some high-speed trains require everyone to have a reservation. Also, take advantage of night trains. If you have a long distance to travel, sleeping overnight on a train, can add a day of sightseeing or exploring. When sleeping on a train, there is not much privacy, so it is suggested that you wear comfortable travel clothes that you can sleep in. Also earplugs come in handy as well. Most trains have limited luggage space so the less you pack the more pleasant your train ride can be. When traveling by rail, be cautious. The horror stories about trains are true but rare. Clipping your bag to the luggage rack is helpful for if someone tries to pull it down, there will be too much commotion and it will scare the burglar. Also don't drink the water on the trains, not even to rinse your mouth. Bring bottled water to sip throughout the trip. Eurail countries: Austria, Belgium, Denmark, Finland, France, Germany, Greece, Hungary, Ireland, Italy, Luxembourg, the Netherlands, Norway, Portugal, Spain, Sweden, and Switzerland. Europass countries: France, Germany, Switzerland, Italy, and Spain. Europass add-on zones: Austria/Hungary, Belgium/Netherlands/ Luxembourg, Greece (including the ferry from Brindisi, Italy), and Portugal. Purchase your rail passes in the United States before you leave. You can purchase them in some major European train stations, but you'll pay up to 50 percent more. 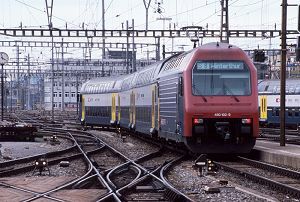 You can buy rail passes from most travel agents, or contact Rail Europe. Also don't forget to consider taking longer trips on an overnight train. You can often buy a couchette or bunk on a train from the conductor (check when you purchase your ticket). You'll save a hotel and a day of travel.